One of my biggest personal intentions for this year is to explore more of the beautiful country that I call home. Alex and I have travelled to some really awesome places these past few years - from California, to New York, Berlin, Copenhagen, Paris, Venice, and Greece - and we still have lots of places overseas that we want to visit and explore, but now that we have our puppy George we really want to take more holidays together as the three of us and really make the most of the awesome country that we already live in. So I've made a little UK (and Ireland) travel bucket list for inspiration for this year and I'm super excited to hopefully tick a few of these off in 2018. Apart from a few times as a child that I can't really remember, I've never explored Wales and neither has Alex apart from visiting a university there once so it's on our list as it looks like such a beautiful place to go. Visiting Anglesey and Snowdonia is a trip we'd love to take this year, I've already bookmarked a few possible Airbnbs and I got extra excited when I read that it's possible sometimes to see the Northern Lights from there too. I have a dream one day of living by the sea, which I don't think will happen anytime soon as we love living in our city far too much, but I'm hoping a long weekend on the Welsh coast will give me my fix. We'll actually be ticking this one off our list super soon as we have a little winter weekend away booked for this month to the Peak District and I'm crossing my fingers for dry weather so we can have lots of lovely walks exploring with George. 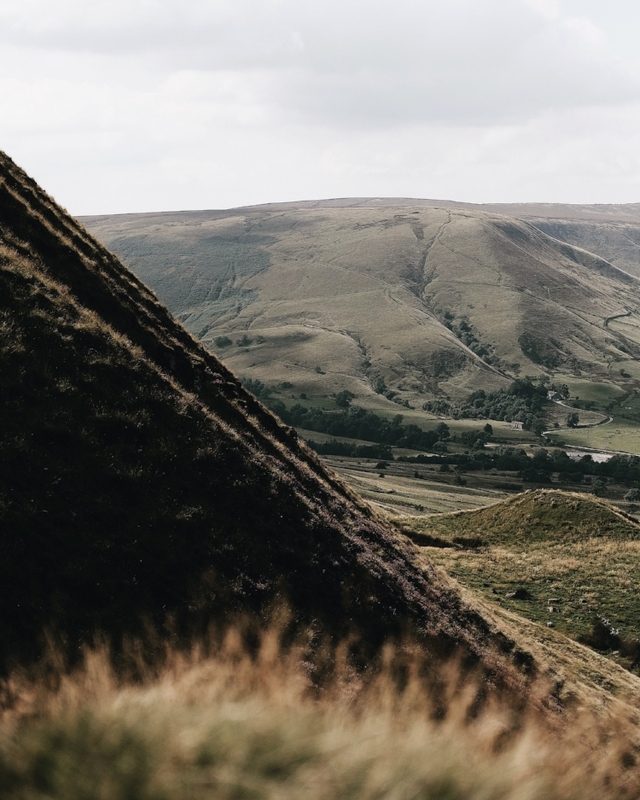 We've been to the peaks quite a few times for day trips as it's only around a 90 minute drive away from us, but to have a whole weekend to explore is something I'm super excited for. Ever since stumbling across Annie Spratt's beautiful photography I have been a little obsessed with taking a trip down south to The New Forest. It looks like such a beautiful part of the country to visit, and there are some coastal villages and towns nearby that I'd love to explore too. It's quite a long drive away but it's a trip I'd really love to make happen for a long weekend at some point this year. We have a trip to Bath booked for early Spring and I am so excited as I've heard it's such a beautiful city to visit, and we're also hoping to take a little day trip out to Frome too as I've heard wonderful things. We'll be staying in a converted barn just outside of Bath that is set within the grounds of a farm so I'm also very excited for lots of nice walks with George and enjoying country living for a few nights. 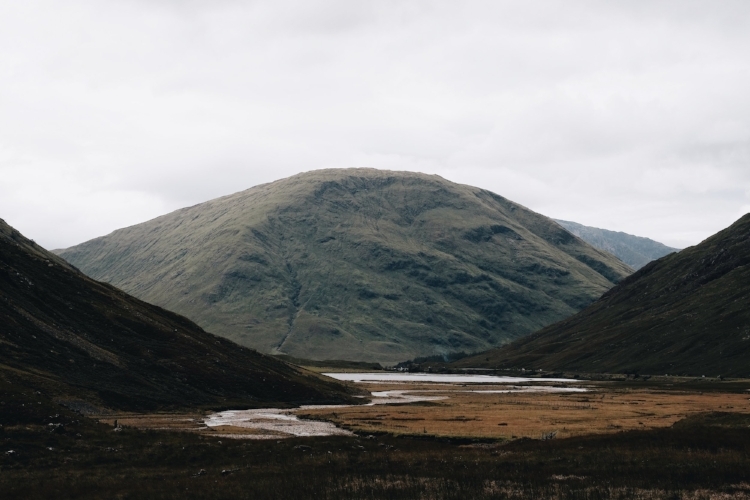 This is a trip I really hope we make happen this year as the Scottish Highlands look incredible and I would love to take a little road trip to explore all it has to offer. Alex has never been to Scotland before and I haven't since I was a child so I think it will be so special to go have a little adventure there together with George along for the ride too. Speaking of Scotland, we also really want to take a trip up to Edinburgh as we meant to last year but I was a little unwell and we sadly had to cancel our trip. I've already bookmarked some Airbnbs so now we just need to find a long weekend to make it happen, and suss out some dog friendly things to do there too! Last year I spent a whole afternoon mapping out an itinerary for a Wild Atlantic Way road trip - a coast trail in Ireland covering nine counties and what looks like some incredible scenery. I've never ever been to Ireland and I'd love for this to be the year that I do. Cambridge looks like such a beautiful city and I would love to take a trip together for a long weekend in the summer - this post on What Olivia Did on how to spend 48 hours in the city is one I've bookmarked and whenever I re-read it I always feel excited to hopefully take a trip down to visit. I've only ever been to the Cotswolds once - to look at a wedding venue! Before we decided to get married in Paris we thought about having it in a barn in the Cotswolds and our little day trip down to visit some venues left me wanting to explore so much more of the area. We're hoping to take a trip down in a few months - I've found a really lovely converted barn that I'm itching to book soon - and I'm very excited to hopefully explore some of it's little villages and towns with Alex and George. Stretching from East Devon to Dorset, the Jurassic Coast looks like a beautiful, beautiful, part of the country that I would love to visit and explore. We're hoping to go on a little summer holiday with our friends and our dogs this year to Devon so fingers crossed we make it happen as I think it would be a wonderful way to spend a week of our summer with some of our favourite humans and animals. And there is it, my UK and Ireland travel bucket list for 2018. Is there anywhere else here in the UK or Ireland you would recommend adding to my list? 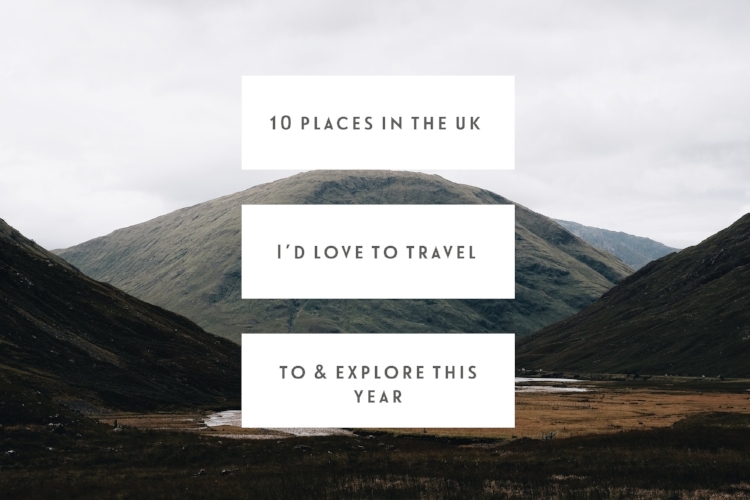 And what about you, is there anywhere in the UK or Ireland you'd really love to visit this year?